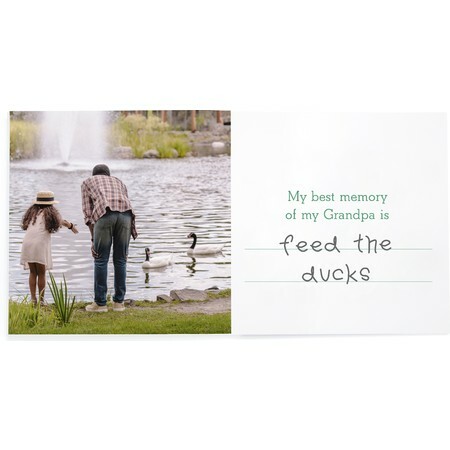 An ode to the best Grandpa around! 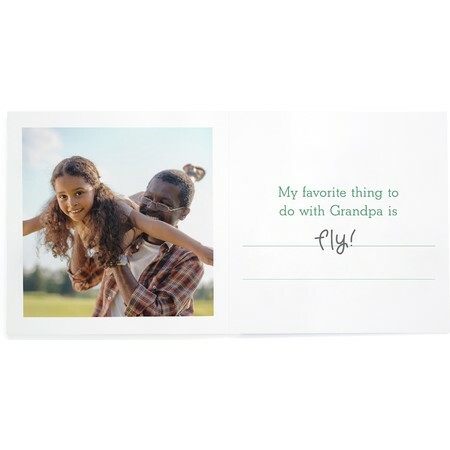 Give Grandpa a special treat with this fun fill-in photo book. 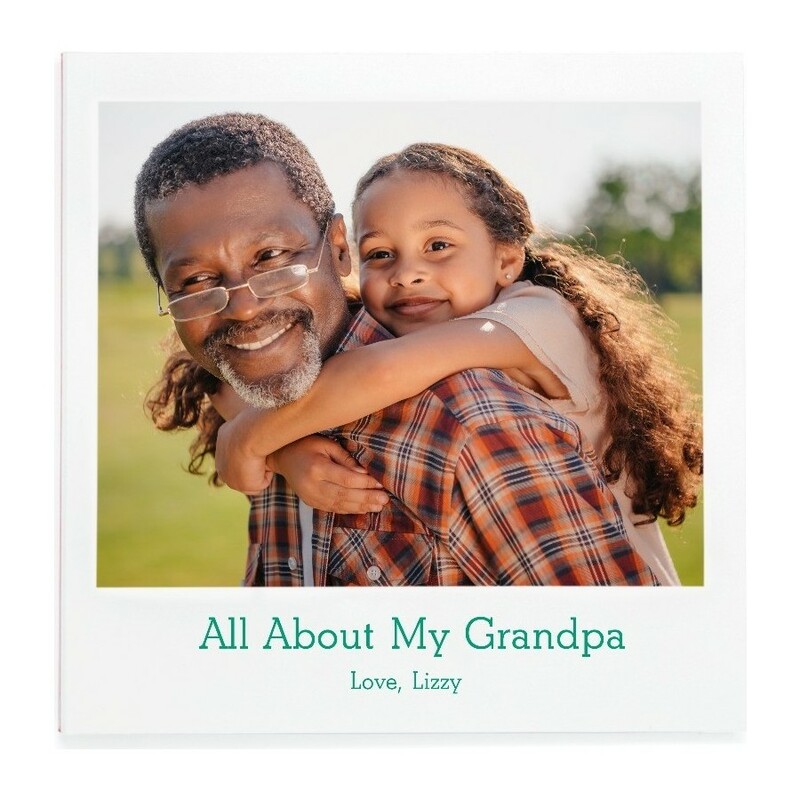 Our All About My Grandpa Layflat Photo Book features write-in areas for your child to answer about their favorite person. 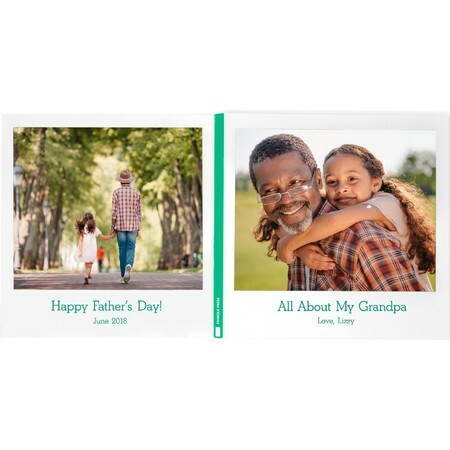 The book comes complete with cherished photos throughout placed on beautiful layflat pages. A great gift for Father's Day, a Birthday, or just because! 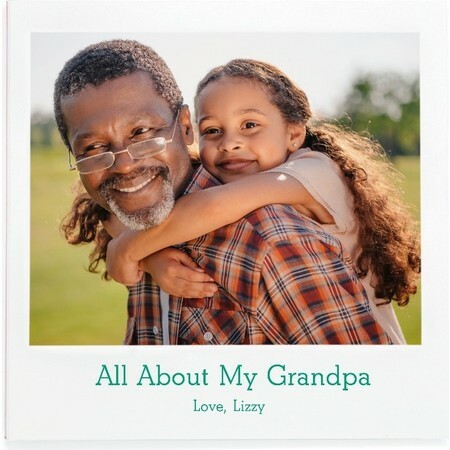 The All About My Grandpa Layflat Photo Book can be filled in with marker, crayon, colored pencil and pencil. (Avoid gel-pens as the ink may smudge if not dry!) The book is printed on premium paper and measures 5 x 10" inches when opened.